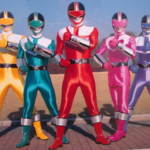 Tokunation › Super Sentai › Shout! Factory Presents Mirai Sentai TimeRanger- Coming July 2018! Shout! Factory Presents Mirai Sentai TimeRanger- Coming July 2018! The next Super Sentai boxset from Shout! Factory has been confirmed! 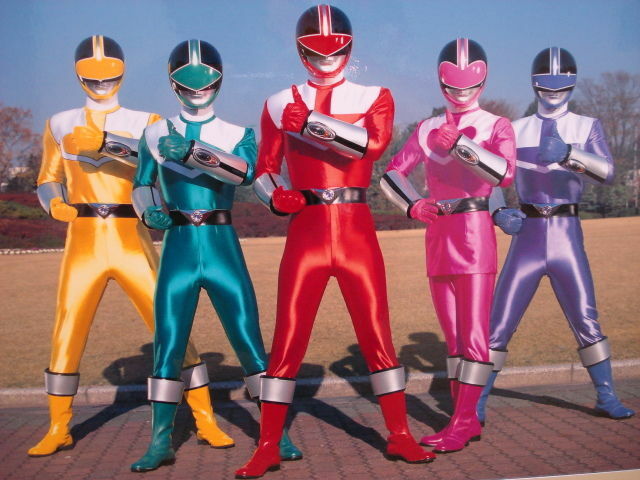 A new product page has been opened for a US release of Mirai Sentai TimeRanger! This will be the 9th Super Sentai released by Shout! factory to date! TimeRanger follows the adventures of the Time Protection Department traveling from the Year 3000 to stop a gang of mutant criminals from destroying the future. Currently, TimeRanger’s release is scheduled for July 31, 2018! Price is a very modest $55.97 USD! However, all release details are subject to change. Stay tuned to TokuNation for further information on this and more Shout! Factory Super Sentai releases! Welp, so much for all those ill-fated attempts to fansub it! I’m excited though, is this the first Sentai we’ve gotten from Shout Factory that hasn’t been fully subbed by fans before? Welp, so much for all those ill-fated attempts to fansub it! I�m excited though, is this the first Sentai we�ve gotten from Shout Factory that hasn�t been fully subbed by fans before? TV-Nihon's had the show subbed for months now. All Zyu-onward sentai have been fully translated through fansubs. Oh dang, I missed that. Still, it seems unfortunate to be out for such a short time before the official release. So Gaoranger will be announced in July then. I hope we would get Gaoranger by the end of 2018. We are ending out the 20th century Sentai shows. Also Huricaneger, Abaranger, Dekaranger, & Magiranger next year most likely. Who subbed Hurricanger? It's one I've been semi-interested in seeing.